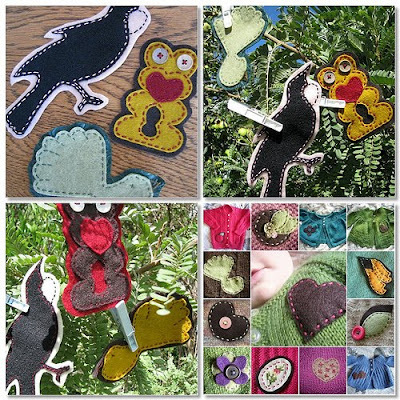 Cotton Kiwi: I heart handmade craft supplies. 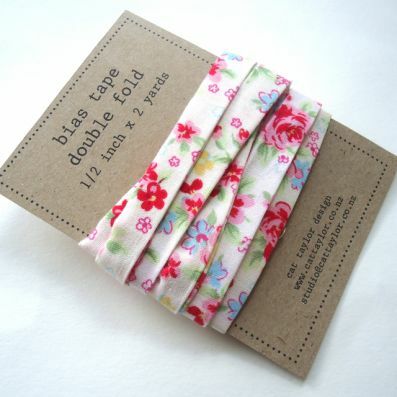 Look at this beautiful bias tape by my lovely friend Cat Taylor of Cat Taylor Design. She's selling this and others on her Felt shop. And how about a pattern to make felt icecreams? I love that pink waffle cone. I know two little girls who would love these in their play food set for Christmas! And these are patches by Heart Felt but can't you see them with a little ribbon stitched on the back and hung on the Christmas tree? They'd make a lovely gift for friends and family overseas too. LOVE. You can buy them here. So many gorgeous craft supplies. So little time. *Sigh* . I love those icecreams! very cool. oooh! that bias is just gorgeous and oh those patches! might have to send my mum the link for that one... hint to her!! Look at that beautiful bias! 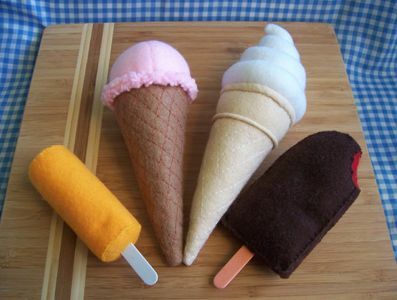 And those Ice creams are just gorgeous, what a great idea. I'm sure mine would bite them just to double check! That bias is gorgeous. You can't put a price on delicious bias binding. Good one, Sarah. Impeccable taste.